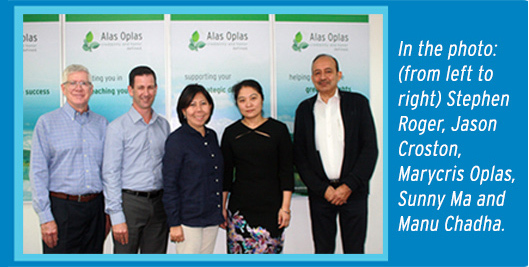 Alas Oplas & Co., CPAs hosted the BKR Asia Pacific Board Meeting last January 30, 2016. It was attended by BKR Executive Director Stephen Roger from Sydney, Australia; Vice Chairman Jason Croston from Perth; Chairman Sunny Ma from China and Manu Chadha from India. In an interview with Marycris Oplas, she stated that they discussed the enlisting of new members, the receivables and the condition of the board member in his/her country which concerns the Asia Pacific region. “[Our] plans and programs, the marketing, who are the members in Asia Pacific who has issues that needs to be resolved, or do they have issues that we can help them with or we can step in, and also the fund of the region,” Oplas shared. Discussed also is the next venue which will be in Australia, this coming May. “We meet twice a year. Our meeting is usually held in the office of the board member, so for example, there [are] five of us - Shanghai, China; Manila, Philippines; Singapore; India; and Australia. And the executive director is also from Australia.” Oplas added.